Here at ThinkMuzik, we love sharing brand new free music with our readers. Call it a gift to our loyal fans, but there is little music better than free music. Today's first item is from Endless Melancholy, a solo musical project from the Ukraine. This beautiful music is from the exceptionally talented fingers of Oleksii Sakevych. Sakevych is not only talented, but is also self-taught. This is incredibly impressive for an artist with no formal musical training. 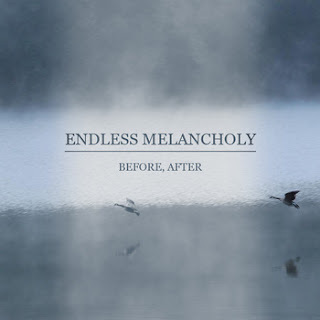 Endless Melancholy, as the name implies, is a down tempo instrumental ambient project, from which the music is played mostly on keyboards with some slight atmospheric ambient nuances to add just the right amount of taste. Drawing the line between instrumental post-rock and down tempo ambient music is a feat many artists have attempted, but where few have succeeded with such masterful results. This music is sad and dreary, but oddly uplifting the way a single ray of light in a dark room can lift spirits and enrich outlooks. For ambient music, this album is surprisingly not all that challenging a listen. All it takes to enjoy it is an open mind and a willingness to take chances. The last part of that statement is an easy undertaking, because Sakevych is offering his new album, "Before, After" as a name-your-price download from the Endless Melancholy bandcamp page, which is also where we are getting our full album stream from. Check it out below. If you feel inclined and don't hate PayPal, please donate a few bucks. It will be worth it. Our second item is a brilliant new single from Blue Stahli. It is called Atom Smasher, and is downloadable from Soundcloud for absolutely free. This single is classic Blue Stahli, as electronically distorted guitars clash with punchy samples at an alarming rate. Blue Stahli is also affiliated the electronic rock project Celldweller. Contrary to most Blue Stahli tunes, this new track is entirely free of vocals. Sadly, it is criminally short, clocking in a just over two minutes. Call it a teaser for a new album, which it sounds like will be entitled "Antisleep Vol. 3". Check out the new track below! Thanks for listening and enjoy!